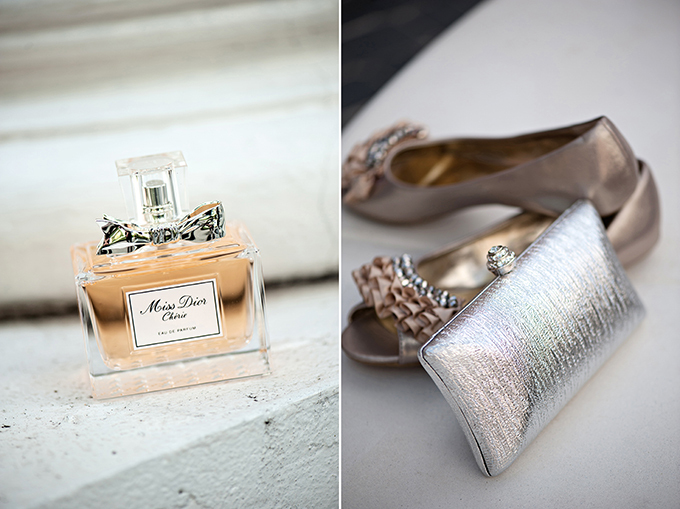 If you are a fan of glam, you are going to love today’s wedding! 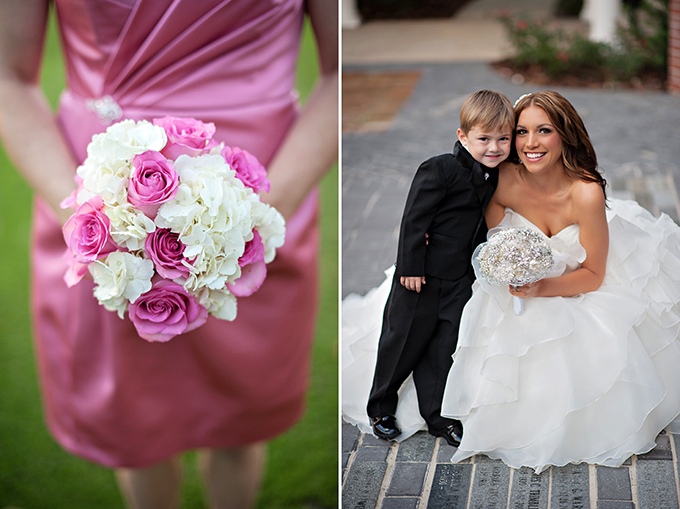 Perfectly elegant, yet understated, this fab metallic and pink wedding is not to be missed! 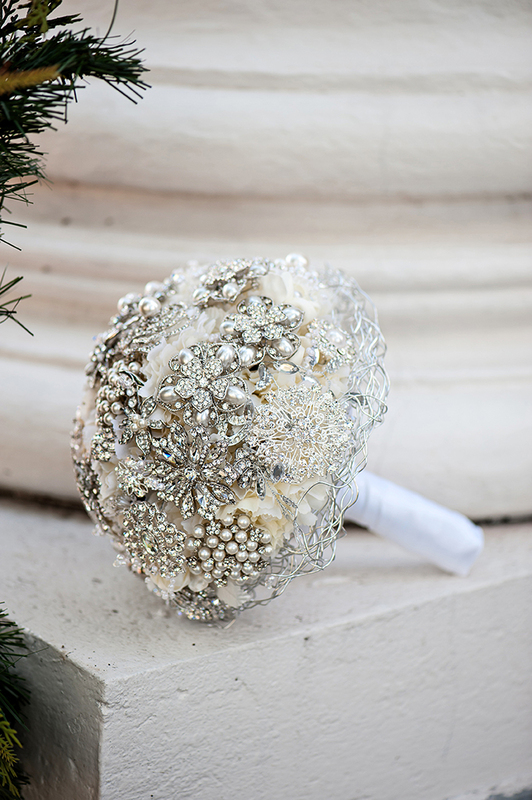 The brooch bouquet is just breath-taking and I love the simple and chic centerpieces! The very first thing I did was go out and buy a few good bridal magazines (the night he proposed, actually!) and I used that information to make up my own planning timeline. I found that a lot of the magazines, websites, and books included steps in the planning process that didn’t apply to us or our wedding, so making my own checklist and staying organized from teh onset helped me from getting overwhelmed. 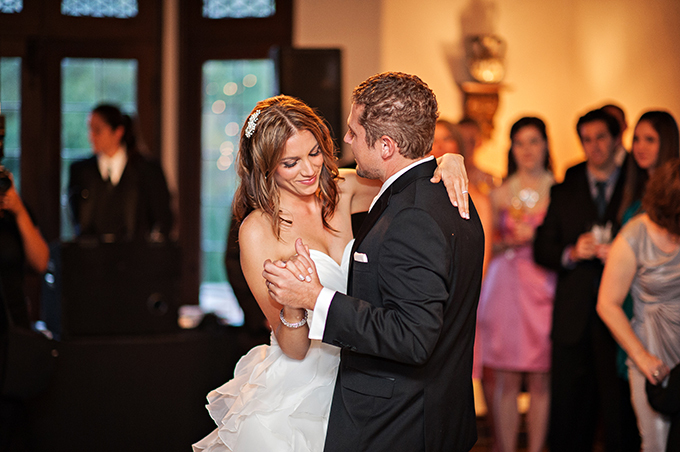 We also felt that once we chose a date and a venue, everything really fell into place. Our families and friends offered lots of support throughout the planning process and always helped with anything we needed. 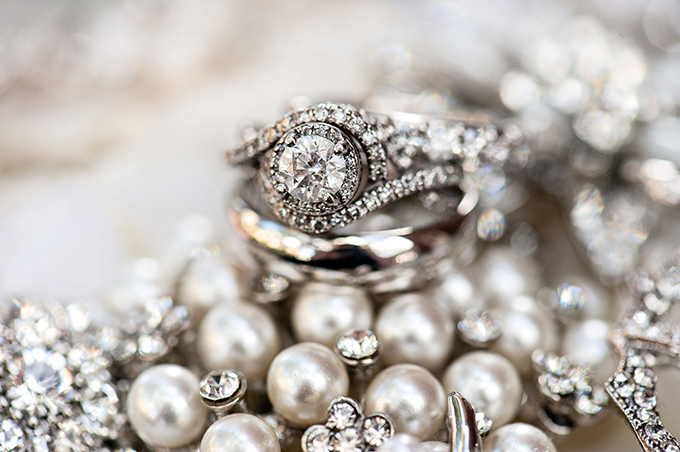 We each had something special with us – Bradley wore his grandfather’s cuff links and I had a brooch bouquet. I absolutely loved my bouquet! It was made up of brooches given to me at my bridal shower, along with a few from my grandmother. I love that I can still admire it in a vase, unlike flowers which would be long gone by now. 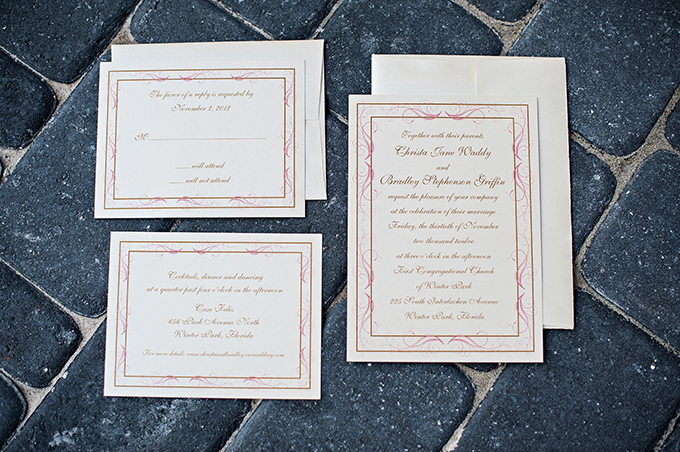 We really wanted a romantic, classic, and personal feel to our wedding. I was tempted to go with some trendier details, but in the end I just wanted our wedding to feel like us. I wanted our guests to know they were at our wedding! 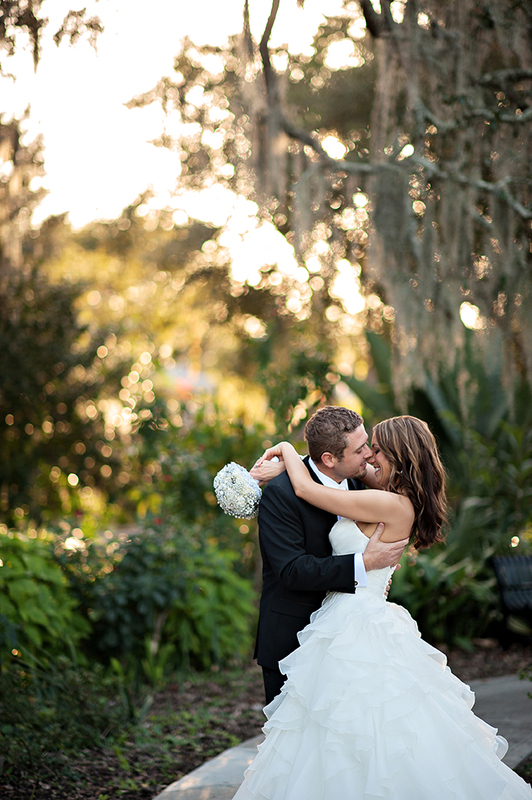 We achieved that feel first and formost with our venue. 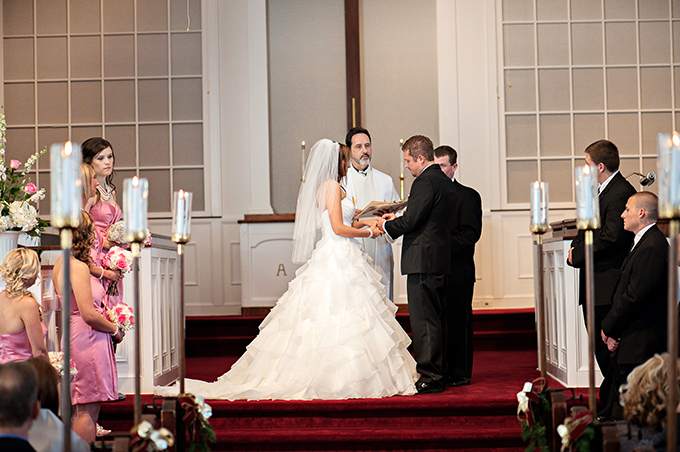 Our ceremony was held in a beautiful church, The First Congregational Church of Winter Park, and we really connected with our Reverend prior to the wedding. My brother read a beautiful poem, The Key to Love, which I picked out. 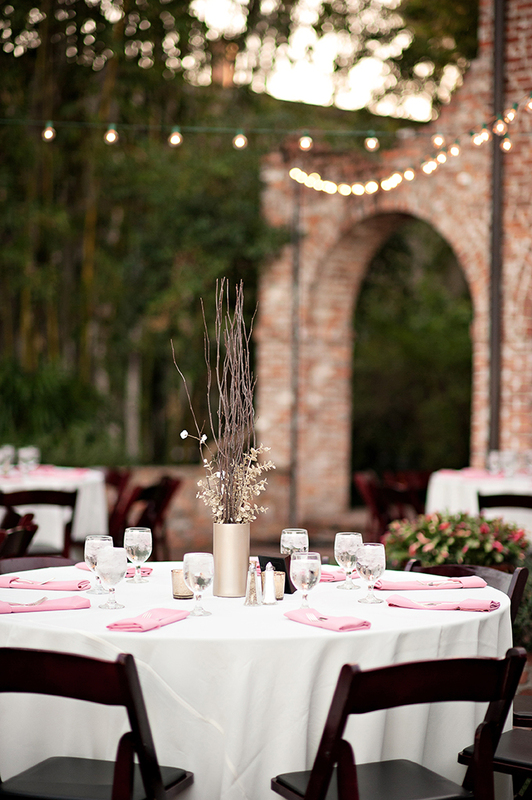 Our reception venue was Casa Feliz in Winter Park. It is so gorgeous and cozy, our guests said they felt like were guests in someone’s home. Guests enjoyed dinner outside, then had the option to go indoors for cocktails and dancing. Our cake was delicious, but my sweet tooth couldn’t stop there. 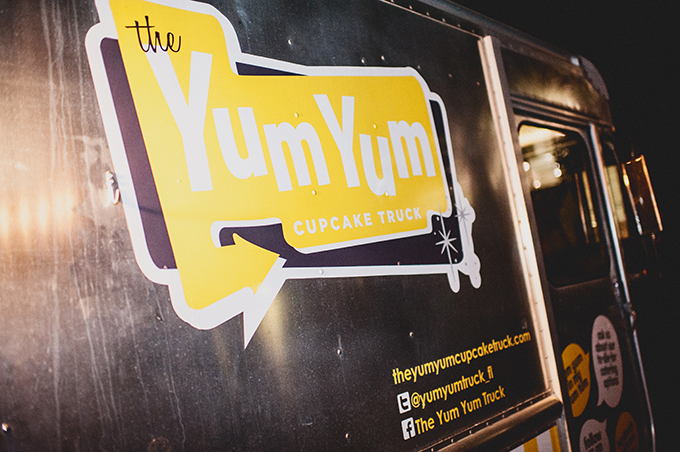 We surprised our guests with a cupcake delivery from the Yum Yum Cupcake Truck. We packaged the cupcakes in to go boxes, but several guests dug right in on the spot. 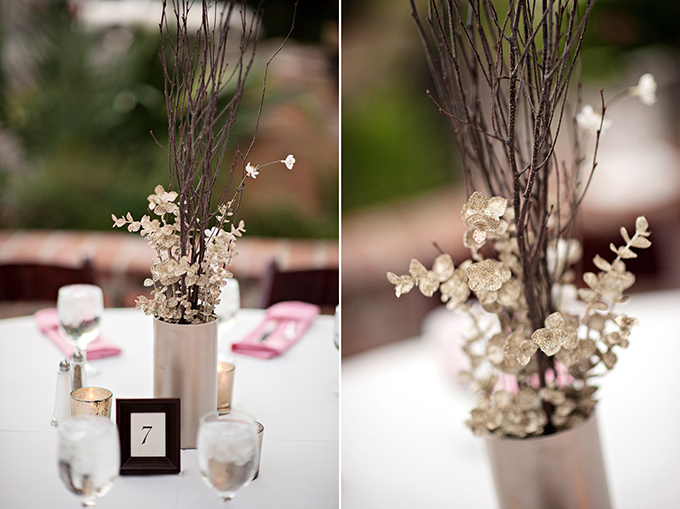 I chose to not go overboard with decorations at the venue, becasue it’s just so beautiful on it’s own. It was already decorated with wreaths and lights for the holidays, so we just added market lighting to the courtyard, candles, and we made our own centerpeices. Instead of a guestbook we had a thumbprint tree. We also had a wishing tree where guests could write wishes for us on individual tags and then hang them on the tree. Last but certainly not least (in fact I did this immediately after choosing a date), we hired an amazing photographer. Kristen Weaver did a fabulous job of capturing our day. I told my husband that I didn’t want a wedding if Kristen couldn’t be there. 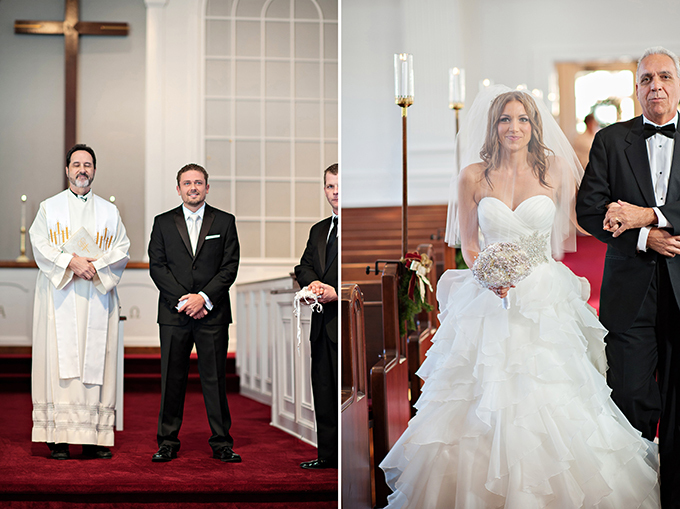 A little dramatic, but, what would a wedding be without beautiful images to remember it by? 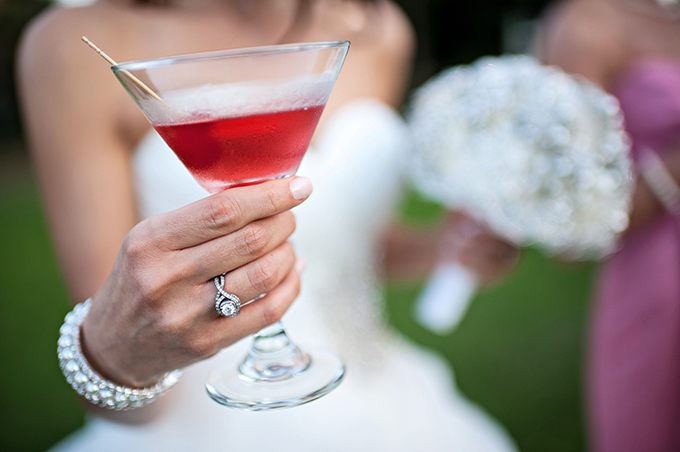 All in all, my advice to other brides is to stay organized, don’t get overwhelmed by adding unecessary details, and remember that the day is about the two of you and your love for eachother – nothing else! Beautiful wedding! All the layers on her dress are amazing. Gorgeous wedding. 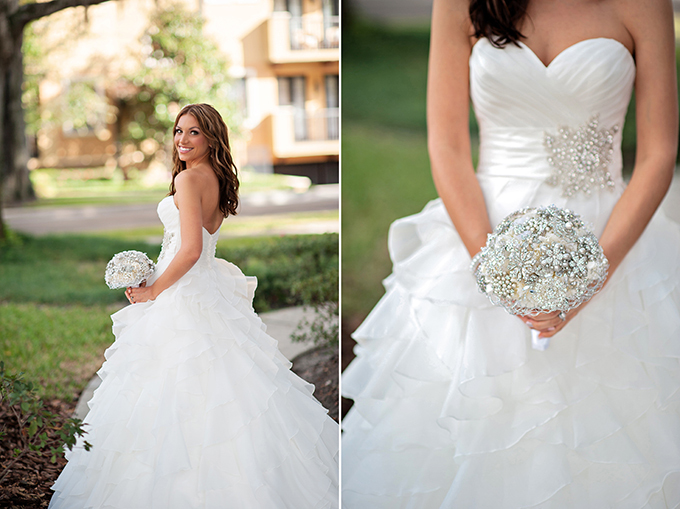 Her wedding dress is pretty beautiful and luxurious. 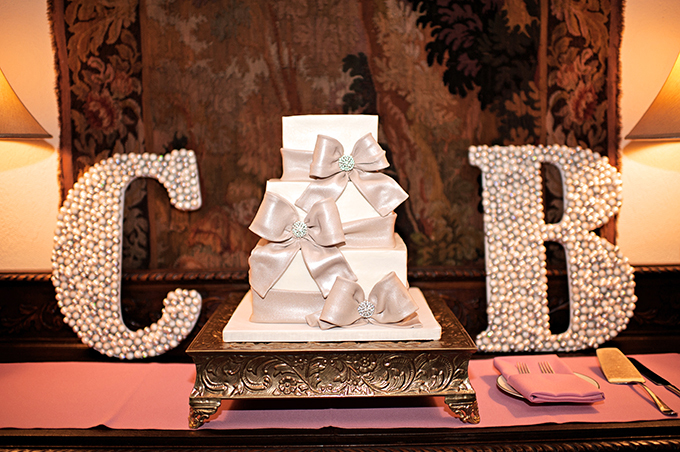 What an incredibly beautiful celebration for two people who certainly seem destined for one another!